There’s something exciting about choosing a new entry door in Brampton, Ontario. Maybe it’s the newness. Maybe it’s because you can finally afford the door you want. Perhaps it’s because your taste has changed. Whatever the reason, improving your entry space is exciting. But, excitement aside, upgrading any feature in the home is a bit of an undertaking. There’s research to be done, installation companies to vet, colour choices and material choices to sift through, and budgeting concerns. Unless, of course, you’re a millionaire; then, you just hand money over to a contracted interior designer and let he or she make the fabulous decisions for you. For the rest of us non-millionaires, let’s discuss what the exciting process of choosing an entry door really entails, yeah? Keep reading to learn what the experts at Brock Doors and Windows have to say about taking the right steps and choosing the right entry door for you! There are a lot—and I mean a lot—of entry door options out there. Narrow it down to two styles you like best. Don’t think about budget or space at all. Just select the two dreamiest entry doors you can. These two styles will act as a guideline and will help you communicate your wants when the time comes to sit down with a pro. Rapport with the community—ask around; who goes where for door installations? Availability of the company—prompt responses and installation availability. Experience level—time in business, experience level of installation and design crew, etc. Company specialty—you want a company with a focus in doors and windows, obviously. Ratings—online, client testimonies, awards, etc. Product quality—quality manufacturers, warranty-backed products, inventory, variety. Customization options—everything from hardware to colour to materials and energy efficiency options. Multiple company names—this is rarely a good sign. If a company uses different names in ads, on websites, and/or on customer service lines, it’s a pretty good indicator that they’re evading Consistency is key. Excessive poor reviews—be mindful that the majority of people who write reviews write negative But, excessive online review complaints (especially unanswered ones by the company) is usually a bad sign. Weird feeling—always trust your instincts. 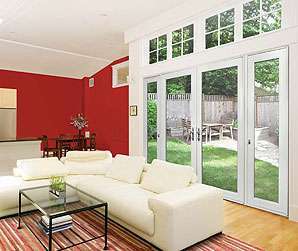 An honest door installation company will make you feel comfortable. 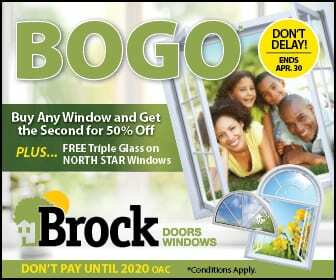 Here at Brock Doors and Windows, we believe we are only as great as our last installation. This humble approach keeps us striving for excellence, as it has since for nearly 30 years. Give us a call to book a free, no-pressure consultation and let’s get started on your new entryway!